Built to resemble a traditional wooden junk, the Garden Bay Legend cruise features wood-paneled lounges, shimmering silks, and Indochine-style furnishings. Simple yet elegant, the cabins feature large windows – perfect for viewing the Bay’s ever-changing scenery. 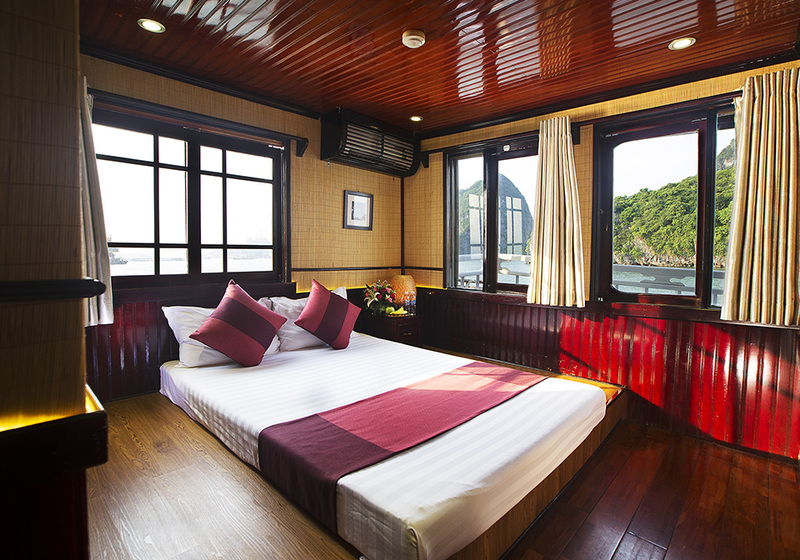 With just ten cabins, the Garden Bay Legend offers an intimate means of exploring Halong Bay. 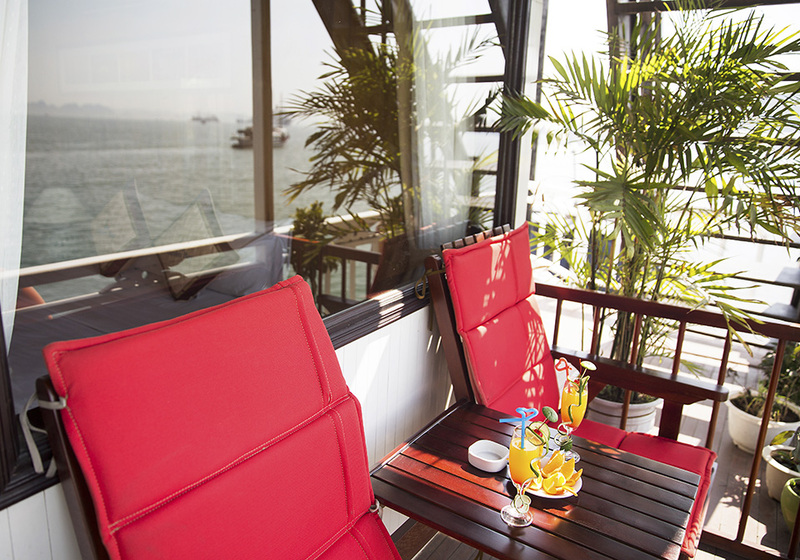 Guests can rise before dawn and take a Tai Chi class on the Sundeck; join the friendly kitchen staff in a Vietnamese cooking class, and swap stories on plush sofas in the boat’s cozy bar. Surrounded by the legendary islands of Bai Tu Long bay in Halong, you will feel relaxed, recharged and inspired by a magical journey. 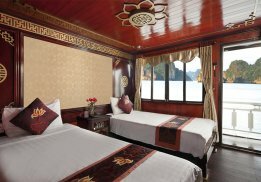 07:30: Pick up and transfer to Halong Bay from your hotel in Hanoi Old Quarter. 12:30: Arriving Hon Gai Harbor, Halong City. Transfer to Garden Bay Legend Cruise by tender. 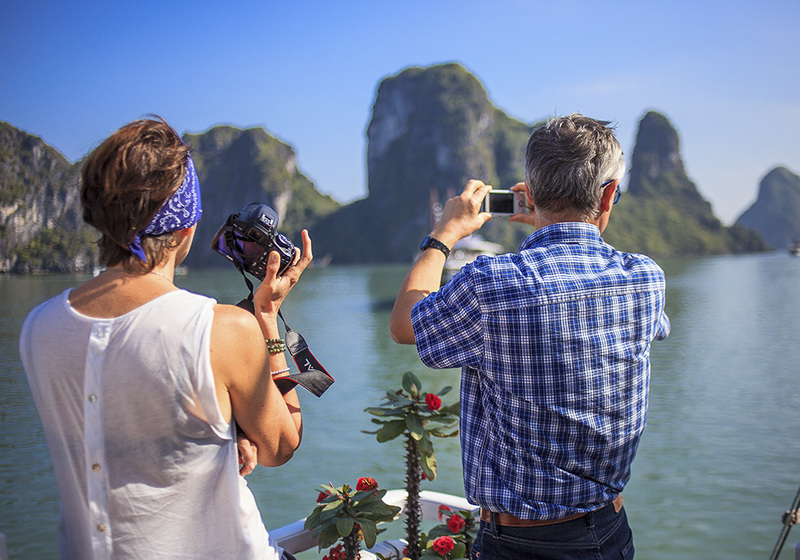 10:30: Enjoy the last scenery of the Ha Long Bay over lunch (a la carte) when the boat cruises back to shore. 12:30: Transfer back to Hanoi. 11:30: Back to the day boat, free time & relaxing on the sundeck. 12:00: Having set lunch with seafood and grills. Indulge in the sea breath, gaze at the unique view of a unique place and let the authentic traditional local dishes impress you with their delicate, pure flavor, locally produced vegetable and the perfect blend of layers taste given by Vietnamese herb, spices, and nature. The Dining Room is located on the Upper Deck and is surrounded by panoramic windows providing beautiful views of the bay wonder.